Arsenal host Chelsea in the Premier League’s top-of-the-table meeting at the Emirates Stadium on Sunday but Wenger is playing down the managerial rivalry between he and the Portuguese. 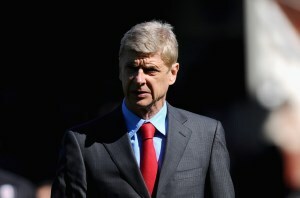 “It is not a confrontation (between managers), it is a confrontation of two teams,” he said. Mourinho’s Blues beat the Gunners 6-0 in Wenger’s 1,000th game as Arsenal boss last season before the pair confronted each other during Chelsea’s 2-0 at Stamford Bridge in October. Arsenal are 10 points behind Chelsea but come into the game on the back of excellent form. Wenger said: “Look, mathematically it will be possible, yes, but Chelsea has their future and the championship in their hands. We can get closer and we have an opportunity to that at home and want to take it.